When a loved one’s life is tragically cut short due to an individual or institution’s negligence, family members are left reeling. They need to grieve and the last thing they want to think about is a lawsuit. At The Collins Law Firm, we understand that the recovery of damages can never compensate for the pain of losing a family member too soon. However, a lawsuit may help your family recover financially from your devastating loss and may prevent future tragedies form occurring. If you are looking for the right law firm to represent your family after the death of a loved one, then you have come to the right place. 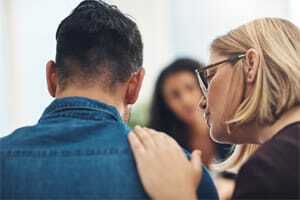 Our compassionate Naperville, Illinois wrongful death attorneys can support your family through this tragedy and bring you some peace of mind for the future. What Should I do if I Think I Have a Wrongful Death Case? What Kinds of Cases do Our Wrongful Death Attorneys Handle? 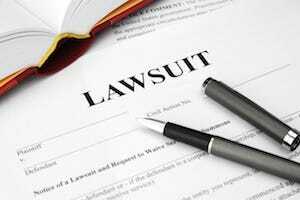 What Must I Prove in a Wrongful Death Lawsuit? What Damages can I Recover in a Wrongful Death Claim in Illinois? Does Illinois Have Caps on Damages in Wrongful Death Cases? What if My Loved one was Partially Responsible? 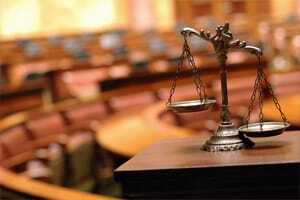 Why Should I Hire The Collins Law Firm? How Expensive Will This be and How Long Will it Take? Illinois Wrongful Death Act – This law allows surviving family members to recover monetary losses caused by a loved one’s death. Surviving family members generally means a spouse, children or parents. Illinois Survival Act – Illinois law that allows the deceased person’s estate to sue for monetary losses and pain and suffering endured between the time of injury and the time of death. These are separate claims, but may be pursued at the same time depending on the circumstances of the case. If you believe that your loved one’s death may have been caused by another person’s negligence, you need to contact an experienced wrongful death attorney as soon as possible. In many wrongful death cases, crucial evidence can be lost if not quickly preserved. At The Collins Law Firm, we recognize this important issue and are ready to quickly mobilize to preserve evidence. We know how to thoroughly investigate all the factors that led to the fatal accident that took your family member from you. We will review any police reports that are available, consult with experts, and interview witnesses and other victims. We will leave no stone unturned in trying to recover compensation on your behalf. Filing a wrongful death lawsuit can be intimidating for many people going through the process for the first time. You can take comfort in the fact that we are trial attorneys who have recovered millions in compensation for our clients, and who have the skills, knowledge and resources to go toe-to toe with the people and corporations responsible for your loss. A wrongful death lawsuit must be brought by a person who has standing to pursue the case in Illinois. This personal representative for the deceased may be named in the victim’s will, however, if no one is named, a close family member can petition the probate court to be appointed the personal representative. The lawsuit is then brought on behalf of the victim’s next of kin. In most cases, the next of kin includes the deceased person’s immediate family: the surviving spouse, children, siblings or parents (including adoptive parents and adopted children). If no immediate family survives, a lawsuit may be brought on behalf of a niece or nephew. Duty: The plaintiff must prove that the defendant—whether individuals, a company, or a government entity--had a duty to behave safely and avoid harming others. Breach: The plaintiff must prove that the defendant failed to meet this legal obligation and acted negligently, thereby breaching his duty. Causation: The Plaintiff must prove that the defendant’s actions caused the injury which was responsible for the victim’s death. Damages: In a survival action, the plaintiff must prove that the victim incurred some type of damages--whether loss of wages, pain and suffering, or medical expenses—between the time of injury to the time of death. In a wrongful death claim, the plaintiff must prove that survivors suffered losses—such as lost wages, loss of companionship, or grief and sorrow-- as a result of a family member’s death. Statue of limitationsSurvivors of a person who died as a result of medical malpractice have two years from the time they knew or reasonably should have known that a doctor's actions caused their loved one's death. This is called the "discovery rule". In any case they must still bring the action within four years of the death. A child has until two years after reaching the age of eighteen. If you are suing the government for a wrongful death, the statute of limitations is usually one year. 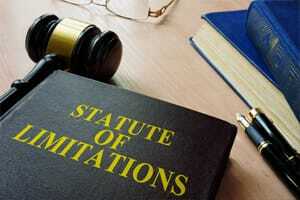 Statute of limitations exist to facilitate a swift resolution to cases. By giving plaintiffs a deadline for filing a lawsuit, the state compels them to pursue their case within a reasonable time frame. This helps ensure that valuable evidence does not get lost over time. It is very important that you consult a knowledgeable wrongful death attorney about the relevant statute of limitations in your case-- and the sooner the better-- if you believe that you have a wrongful death claim. Medical malpractice: The medical personnel or company whose substandard care led to the death of your loved one can be sued: doctors, nurses, anesthesiologists, surgeons, hospital staff, health care facility staff, or the hospital or health care facility itself. Nursing home abuse and neglect: The nursing home staff, owners and administrators as well as the nursing home itself may be sued if a loved one dies while he or she is a resident at the facility. Doctors, nurses, or staff may be responsible if the patient dies due to their negligent or deliberate actions. Motor vehicle accidents: A driver whose reckless or irresponsible actions causes the car crash which leads to the death of your loved one, can be sued for wrongful death. Drunk drivers, distracted drivers, exhausted drivers, or drivers who fail to follow traffic laws all may be responsible in a wrongful death lawsuit. If the driver responsible was driving a company vehicle, as an employee doing company business, that company may be held liable. If a vehicle malfunction caused the death, the car manufacturer may be sued. Toxic contamination: If a company contaminates the water you drink or the air you breathe with a toxic chemical which causes your loved one to die of cancer or another illness, that company may be sued for wrongful death. Defective products : The manufacturer of a defective product—such as a defective airbag, infant car seat or medical device—which causes your loved one to die, may be sued for wrongful death. In these cases, the manufacture allowed consumers to use a dangerous product and failed to warn them, which makes them liable. The damages that you may recover when a loved on dies depend on whether you file a claim under the Wrongful Death Act or the Illinois Survival Act. How much the surviving family members depended on the deceased person's income. Whether there is a spouse who will suffer loss of companionship and consortium. Whether there are children who will suffer loss of guidance, care and companionship. Expenses incurred by the next of kin for the cost of medical treatment and a funeral. The age and health of the deceased. Medical expenses: which includes all medical bills incurred before your loved one passed away. Funeral expenses: The cost of providing a funeral for your loved one. Lost Income: This includes the complete value of the deceased's financial contribution to the family: salary, health insurance, and bonuses. Loss of companionship: This includes the emotional pain that comes from losing a beloved family members company and guidance. Loss of services: This includes the care, guidance and protection provided to the family-especially the children--by the deceased. Punitive damages: Sometimes the jury may want to punish the defendant responsible for the wrongful death if their behavior was so reckless or terrible. In these cases, they may reward punitive damages to the family. Pain and suffering: This includes the grief, sorrow and mental anguish the surviving family members feel as a result of losing their loved one. In a wrongful death claim, the lawsuit is brought on behalf of the surviving family directly, so the damages go to the next of kin and not to the deceased person’s estate. This shields them from claims by creditors. Finally, when there are multiple surviving family members entitled to recover damages, a judge will determine how much each person shall receive. This amount will depend on the closeness and quality of the relationship between the family member and the deceased. Unlike many states, Illinois dos not have a cap on the amount of money that surviving family members can recover in a wrongful death lawsuit. Before 2010, Illinois did have a law that limited non-economic damages in Medical Malpractice cases to $500,000 in actions against doctors and $1,000,000 in actions against hospitals. However, in 2010, the Illinois Supreme Court ruled that this law was unconstitutional. As tragic as it sounds, there are times when a loved one’s actions were partially responsible for the accident that led to his or her death. What happens to your wrongful death claim as a result? In Illinois, being partially responsibility for events that cause an accident is called contributory negligence. Contributory negligence does not prevent you from bringing a claim under Illinois law. Wrongful death and survival actions can still be brought if the deceased was partially at fault, however, the damages awarded may be reduced. For example, if your loved one is determined to be 1 -49% at fault, then the damages will be reduced proportionate to that percentage. However, if a jury decides that your loved one was more than 50% responsible, the case may be dismissed. Investigate: Our legal team will conduct a thorough investigation into the incident that caused your loved ones death. We will pull together all the medical records and necessary evidence—including consulting with experts-- to determine who is at fault and should be held accountable. We will also review all available insurance policies that may be accessed to cover your claim. This insurance may include homeowner’s insurance, automobile insurance, malpractice insurance, premises liability insurance or other policies. Negotiate: The attorneys at our firm have years of experience negotiating with insurance companies and know every tactic they use to reduce settlements. We are tough, aggressive negotiators and will work hard to get you a fair and just settlement so you do not have to go through the rigors of a trial. Litigate: Sometimes, the other party refuses to negotiate in good faith. In these case it is necessary to go to court. Our knowledgeable, experienced trial attorneys know how to create a compelling case in court -- with state of the art exhibits and expert testimony—that will convince a jury to decide in your favor. As you can see, it is critical that you retain a good lawyer when choosing a wrongful death attorney. You need a law firm with the experience and resources to handle even the most complex wrongful death lawsuit. The Collins Law Firm has decades of experience handling these kinds of cases and has recovered millions—including an $8.5 million settlement for a fireman killed in a traffic accident in Chicago—in wrongful death settlements and verdicts for families in Illinois. First and foremost, all wrongful death cases at The Collins Law Firm are done on a contingency fee basis. That means that we charge you nothing upfront and do not get paid unless you recover damages. When you recover compensation, we receive a percentage of the total recovery, based on the length of time the case takes and the expenses involved. This is standard among personal injury attorneys, and will be explained before you retain any of our attorneys because we believe in complete transparency. As far as the time involved in a wrongful death lawsuit, this can be harder to answer. The length of time can vary wildly, depending on the defendant, their attorneys and their insurance company. In a few cases, a quick settlement may be reached in a matter of months. However, it usually takes one to two years—and sometimes up to four years--for a wrongful death lawsuit to resolve. This will depend on the complexity of the case, the length of time needed to investigate and whether the parties settle or go to court. At The Collins Law Firm we proceed with your case in a timely manner and never park cases on a back burner. However, we also want to be sure everything is done right, and sometimes a quick settlement is not a good settlement. Our attorneys take the time necessary to make sure that you receive a fair settlement for your loss. The wrongful death of a family member is an incredibly tragic and painful experience. Making this experience even more difficult is knowing that the death could have been avoided. While monetary compensation cannot make up for the loss in your life, holding the responsible party accountable can give you some peace of mind and let you move on with your life. At The Collins Law Firm in Naperville, Illinois, our compassionate wrongful death attorneys fight to get you the compensation that you and your family deserve. Contact us at 630-527-1595 (Shawn Collins is at extension 221 and Edward Manzke is at 226) if you are grieving the loss of a loved one because of someone else's negligence. You can schedule a free consultation with an attorney who is committed to helping you get the justice you deserve.